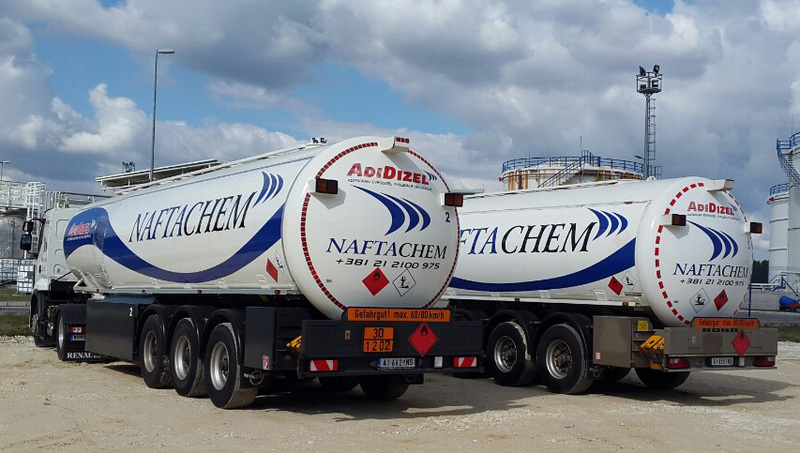 Our vehicle fleet consists of euro diesel and gasoline road tankers used for road transport in accordance with the highest safety standards. 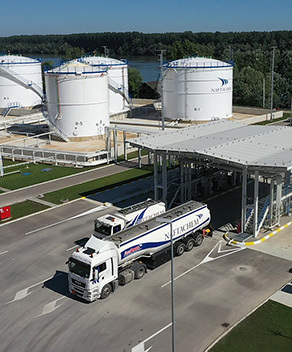 All road tankers have a capacity of 30.000 liters and are equipped with an inherent loading and unloading system and are accompanied with a digital measuring system. 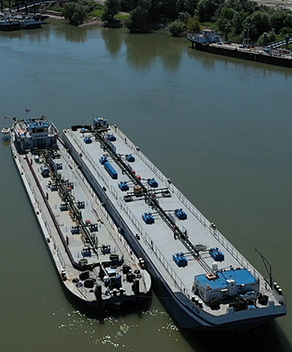 River transport is realized by using our very own six-vessel fleet. Our fleet includes three self-propelled tankers and three barges with a total capacity of 9000 tons. Tankers can transport both euro diesel and gasoline. All Naftachem tankershave EBIS certificates (EUROPEAN BARGE INSPECTION SCHEMES). Many European harbors require the possession of EBIS certificate for loading and/or unloading. All road tankers have a capacity of 30.000 liters and are equipped with a digital measuring system. This measurement method contributes to the precision and speed of fuel racking. 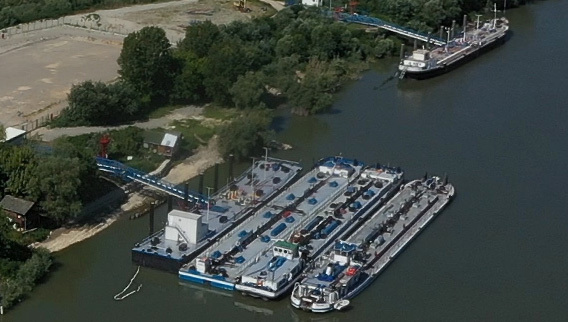 Our river fleet includes three self-propelled tankers and three barges with a total capacity of 9000T. An expansion of the fleet is envisioned for the near future. In order to maintain accurate and continuous fuel delivery, the river fleet must be highly reliable.